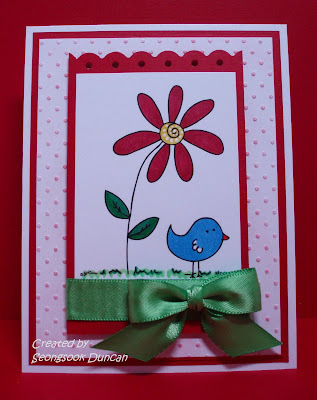 I made this card based on the Stamping 411: Saturday Sketch Challenge 146. I used the digital image "Spring Peep" from Designed 2 Delights for Delightful Inspiration: April's Free Stamp of the Month Artist's Challenge. I colored it with Bic Mark.It markers and Copics. I embossed the white background with Cuttlebug EF Swiss Dots and chalk inked the raised dots. I punched the top of red card stock with EK border punch and used Bow Easy to tie the ribbon. It worked well. 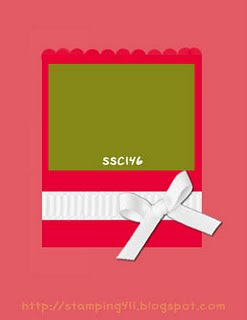 This card is also for the Our Creative Corner: OCC Challenge - Bows!!! Awwww this is so cute! Love the bright colors! This is soooo sweet!! Love the colors and the layout too! Thanks for playing along with Our Creative Corner this week! Very cute! Love the little bird! I just love that little bluebird! The embossed background looks fantastic with how you inked the dots! Great colors and a fabulous take on the challenges! your bow is 100% perfection! cute card! What a darling card. So bight and cheerful. I love it! Oh that little bird under that giant flower is just TOO cute!! Great job with the sketch, thanks for playing along this week! 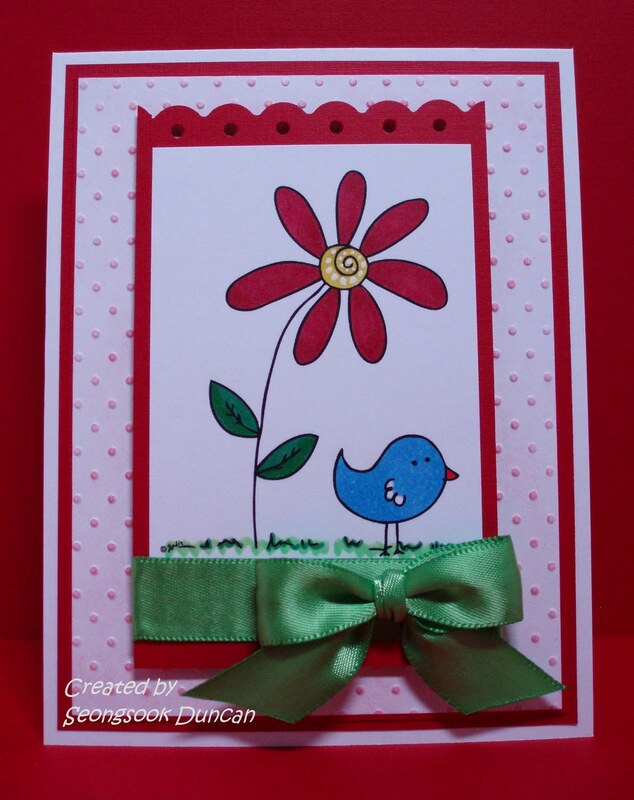 Just an adorable card - very pretty! Thanks for playing along this week! Too cute!! What a great CAS card!! Thanks for playing along!! What darling images! LOVE the little bird. Thanks for playing along with the sketch this week!